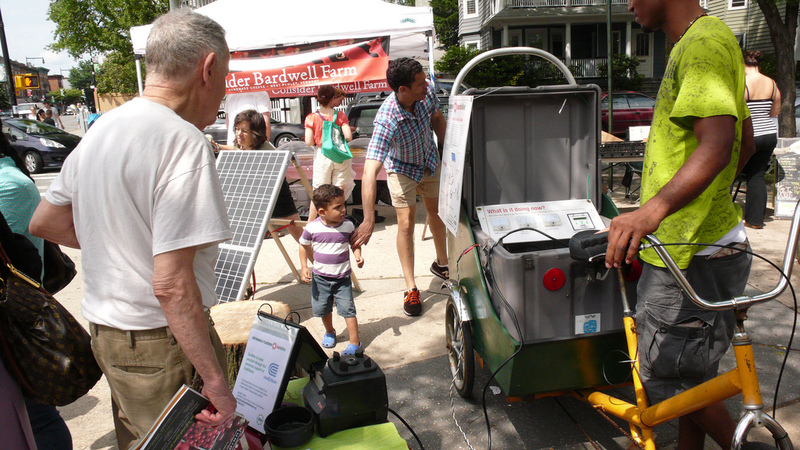 Browse: Home /	ENERGY SOLUTIONS, Renewable Energy, SunBike / Taste Some Sun-Powered Pesto at the Cortelyou Greenmarket! Taste Some Sun-Powered Pesto at the Cortelyou Greenmarket! You’ll have another chance this Sunday, August 7, to get to know our SunBike, the mobile solar-electric unit that Sustainable Flatbush built to take clean energy to the streets. Our Solar Team will be on hand to blend up some sun-powered pesto with ingredients from local farmers. We think solar power and food vending are a great combination for New York City. There’s no need for noisy generators blowing fumes on the sidewalk when quiet, clean solar will do just fine. Come see how it works this Sunday! 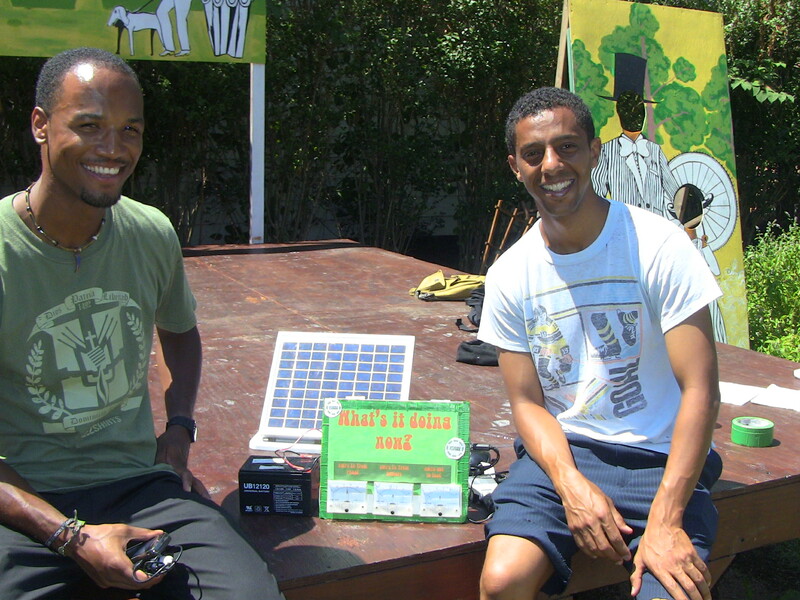 Last Saturday, July 30th, the Solar Team led a workshop on how to solarize a toy at Seeding the City, a sustainability skillshare held at the beautiful and historic Weeksville Heritage Center in Crown Heights. The event was produced by The Laundromat Project and New York Foundation for the Arts‘ Immigrant Artists Project. It was a perfect day for solar energy, and a wonderful time was had by all! Buy Nothing Day Potluck: the tradition continues! Join Us for a Day of Herbal Healing! 2015 Herbal Workshop series starts Saturday August 8! This Year’s Final Herbal Workshop on October 4! Now TWO Herbal Workshops on September 27! Come with us to the People’s Climate March! Solar PowerBike needs your help! Get a tour of Flatbush Gardener’s Native Plant Oasis!